A little toothpaste can help remove stains from clothes and carpet, crayon from walls, scuffs from shoes, and soap scum from the shower. You can polish chrome faucet fixtures, jewelry, and even your finger and toenails! Have a plastic bottle that smells like sour milk? Are your hands smelly after handling onions or fish? Scrubbing with toothpaste can help get rid of unpleasant smells. Want to soothe the pain or itching caused by a bug bite or simple burn? It has also been said that toothpaste can help reduce the size and discomfort of cold sores and zits. 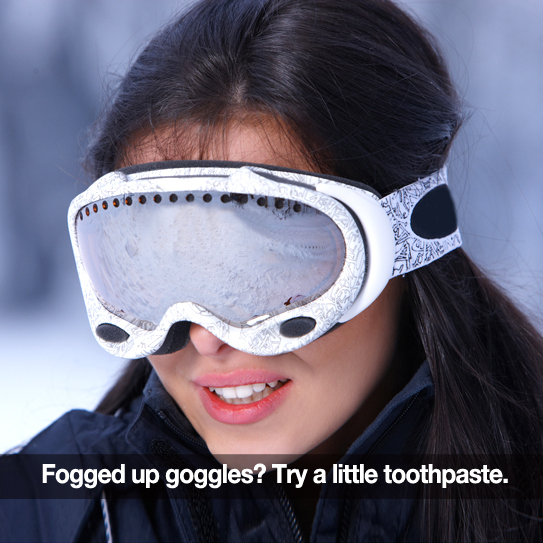 Rubbing a little toothpaste on a mirror, glasses or goggles and then rinsing the surface clean can help prevent fogging. Eureka! Don’t have drywall paste on hand or time to run to the hardware store? No problem. Fill in the holes with toothpaste and let it dry. You can even paint over it. There are LOTS of accounts out there of people using toothpaste for the purposes above AND others. But, we haven’t tried them all ourselves! So here’s our little “disclaimer”! If you’re going to try any of these ideas use white, non-gel toothpaste AND be sure to do your own research first! Just Google your idea before you start—there are tons of step-by-step instructions and testimonials out there! Do you have another use for toothpaste that you’ve tried? Share it with us below! We hope this was fun for you (and informative). 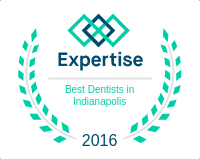 Thanks for being our awesome patients!